The Rolling Stones will release “The Studio Albums Vinyl Collection 1971-2016”, a box set featuring 15 records – from 1971’s “Sticky Fingers” to 2016’s “Blue & Lonesome” – on June 15. Pressed on heavyweight 180-gram black vinyl, the individually-numbered, limited-edition package presents the records in faithful and intricate original packaging replications – including the original Andy Warhol-designed “Sticky Fingers” cover with a working zipper and a hidden image underneath. Spread across 20 LPs, all 15 records have been remastered and cut at half-speed at Abbey Road Studios by engineer Miles Showell from vinyl specific original tape transfers designed to get the very best possibly sound from the format. This process involves the master source being played back at precisely half its recorded speed while the cutting lathe is similarly turned at half the desired playback speed – allowing the cutting head twice the time to cut the intricate groove while providing more audio accuracy than ever before. Each album includes a download card for HD digital redemption of the catalog and includes a numbered certificate of authentication. 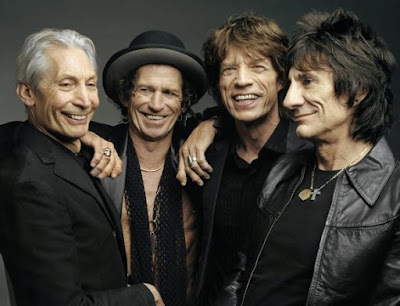 The Rolling Stones will return to live action in May when they launch the No Filter European tour at Croke Park in Dublin, Ireland on May 17; the 14-show series will wrap up in Warsaw, Poland on July 8.